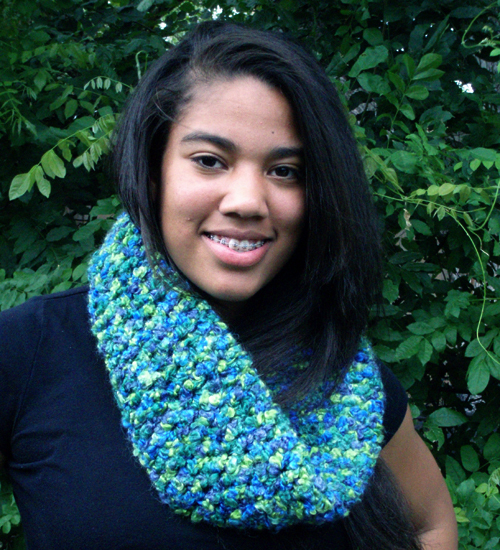 The Gemini Infinity Cowl Scarf is made with a boucle yarn. 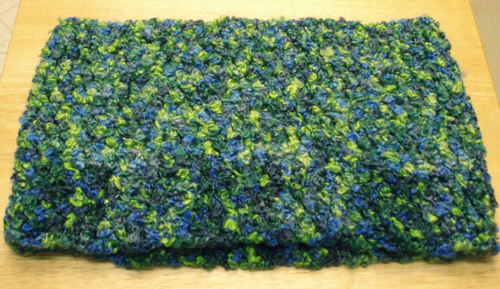 79% acrylic, 20% mohair & 1% nylon. Infinity scarves are very versatile. A 33" circumference slips easily over the head with no risk of accidentally losing a scarf that slips off. The scarf can be folded in half and draped loosely around the neck or leave unfolded as a neckwarmer that can be pulled up to cover the head and frame the face.